The proposal to form a National Government and increase the number of Ministers was made to Parliament with the objective of obtaining the participation of all political parties sincerely committed to the exercise of rebuilding the country to the government’s efforts, State Enterprise, Kandyan Heritage and Kandy Development Minister Leader of the House Lakshman Kiriella said in a statement issued yesterday. “All parties agreeing with the need to accelerate the development process, strengthen democracy, protect people’s sovereignty and get rid of extremism and establish a strong government that can join this National Government,” the statement added. “The proposal to set up a National Government and increase the number of Ministerial portfolios was submitted to Parliament in keeping with the Constition. Earlier, former President Mahinda Rajapaksa took steps to arbitrarily increase the number of Cabinet Ministers to 60 ignoring both the Constitution and Parliament, the statement said. The statement said “We changed that arbitrary process through the 19th Amendment to the Constitution. Accordingly, Parliamentary approval has to be obtained to increase the number of Cabinet Ministers. 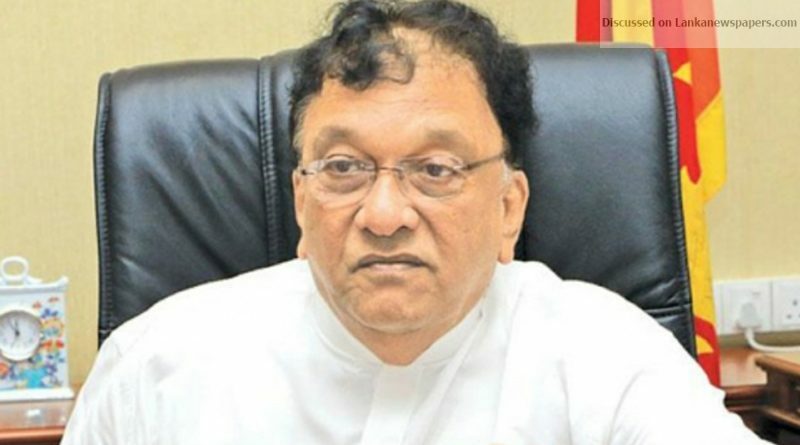 “Therefore, at a time when steps have been taken democratically and constitutionally to obtain approval to increase the number of Cabinet Ministers, we would like to request groups who have got agitated and express critical views to recall what action they took when Mahinda Rajapaksa increased the number of Cabinet Ministers excessively in an unconstitutional manner in the past,” Kiriella said in his statement.